Academic freedom is a central idea in modern scholarship. Even if a precise definition of it is difficult to state, it can be understood as the freedom for members of academia to teach and research without being restrained by political or social surveillance. The concept is not legally defined, it proceeds from customs, conventions or even traditions. Legally, discussions on academic freedom fall into the category of freedom of speech, even if this concept only partly corresponds. 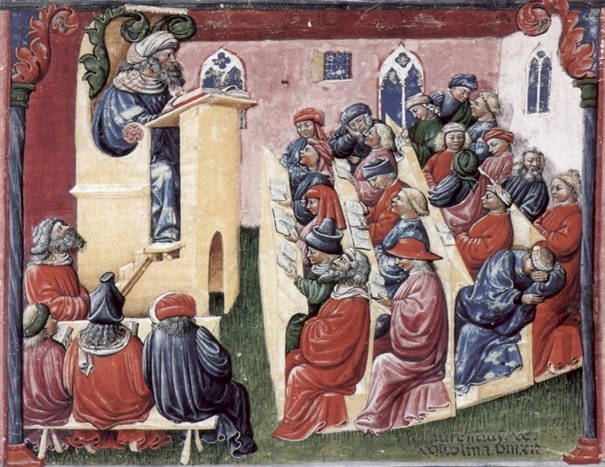 When first arising in the Middle Ages, universities were religious institutions. Throughout the centuries, their precarious autonomy from secular authorities went together with the influence of the Church(es). Modern universities created in the nineteenth century were both instruments of learning the new techniques of capitalism, and for the promotion of the new nation-state. In the twentieth century, dictatorships and totalitarian regimes severely restricted any freedom in academic institutions. In the twenty-first century, academic freedom and freedom of speech can be found only in a few countries, mostly in liberal democracies. Even in liberal democracies, academic freedom remains fragile and is never perfectly achieved. Neo-liberal governance of universities is a significant threat: academics are expected to follow the market-oriented, customer-satisfaction, impact-driven agendas of their employers. Rising bureaucracy and micro-management imposed on academics could also be a way of suppressing conflicting views. Critical thinking and freedom of expressions could also be restricted by students themselves: the recent emergence of ‘safe spaces’ on campuses, are examples of such a phenomenon. Identity politics and political correctness may also restrain debates. Proposals have been invited on various relevant topics, not confined only to academic freedom in the strict sense, but including intellectual freedom more broadly. By historicizing the subject, the keynote lectures and the selected papers will hopefully contribute to a better understanding of the predicament of academic freedom in our days. Naturally, we also hope that revised drafts of the papers read at the conference will be submitted for publication in our journal. We are grateful to Central European University and our publisher Taylor & Francis for sponsoring this conference.